EARRINGS - SARAH COVENTRY. "CARVED TIGER EYE" FROM 1973. 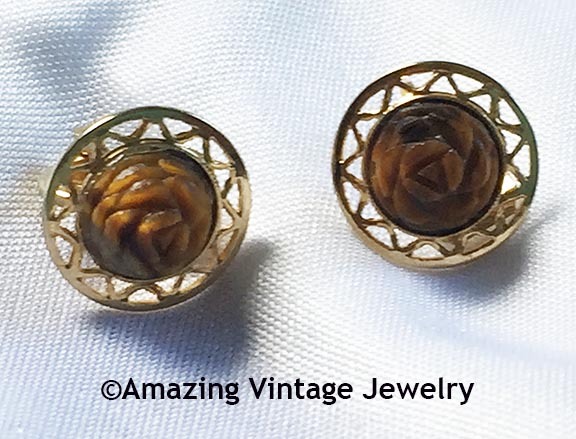 SMALL GOLDTONE CUTOUT CIRCLES WITH CARVED TIGER EYE INSETS. CLIP. 9/16" IN DIAMETER. VERY GOOD CONDITION.